Heat Insulated: limited heat radiation and lowenergy consumption. 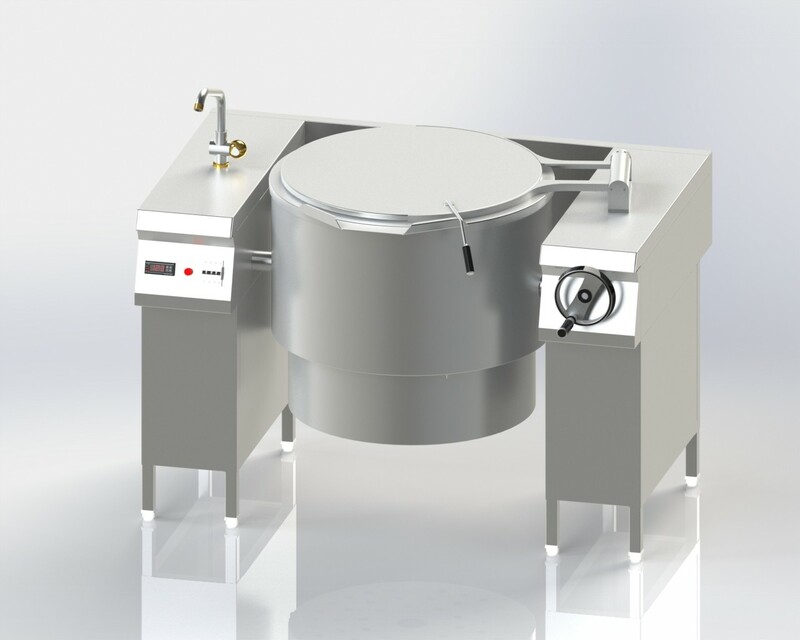 Manually Tilting Mechanism to Pan can be Tilt up 90˚ to facilitate Pan emptying. Ergonomic vessel dimensions, with a large diameter and shallow depth facilitate stirring and gentle food handling. Cooking Vessel featuring pouring lip Assembly made of Double Jacked in AISI 304 10-gauge Inside body and 16-guage Outer body.